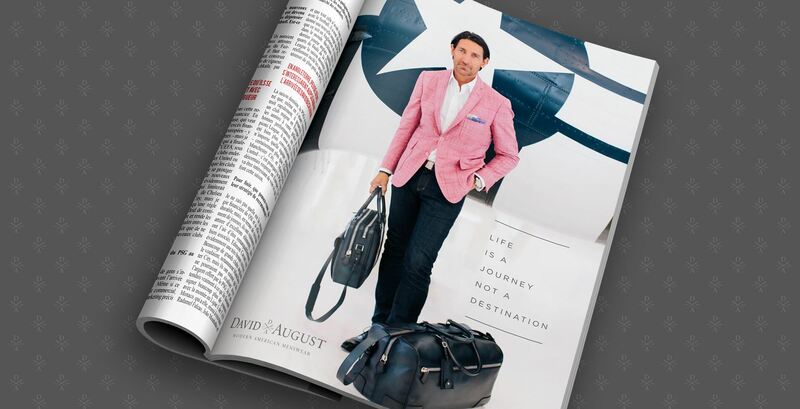 CHALLENGE: David August is a very successful men’s clothing brand with a highly unusual target: Think the top one percent of the top one percent. 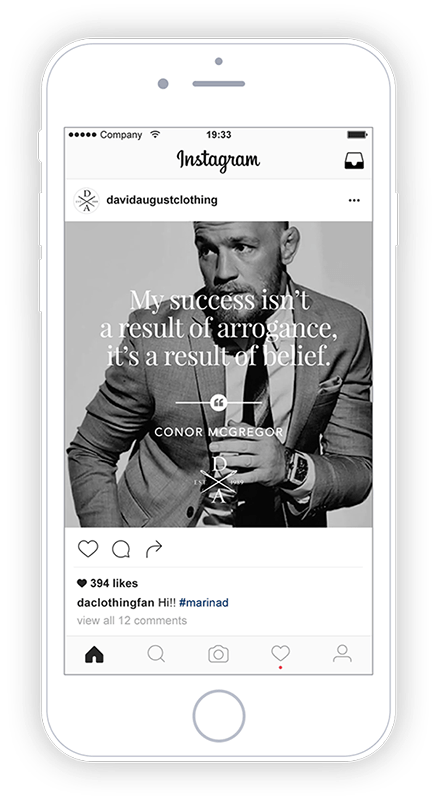 When they teamed up with UFC Champ Connor McGregor they needed a campaign that was as bold and spectacular as the man himself. SOLUTION: As we’ve developed the DA brand over the years, this opportunity was the perfect storm. 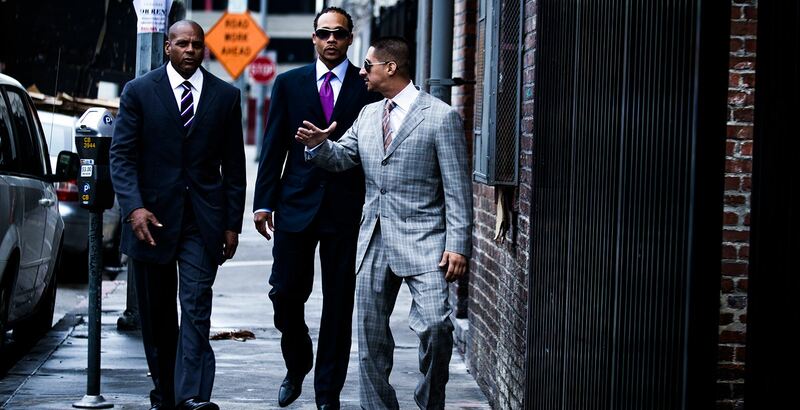 You may have heard about one of Conor’s suits in particular. 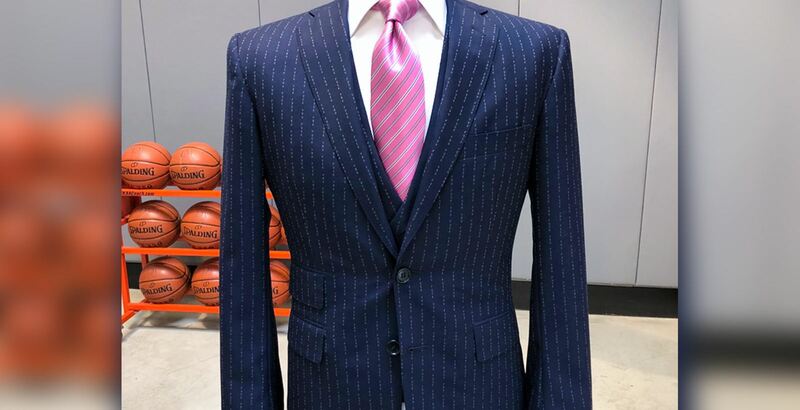 A suit designed specifically by David August Heil to create shock and awe during the publicity tour leading up to the McGregor/Mayweather fight. 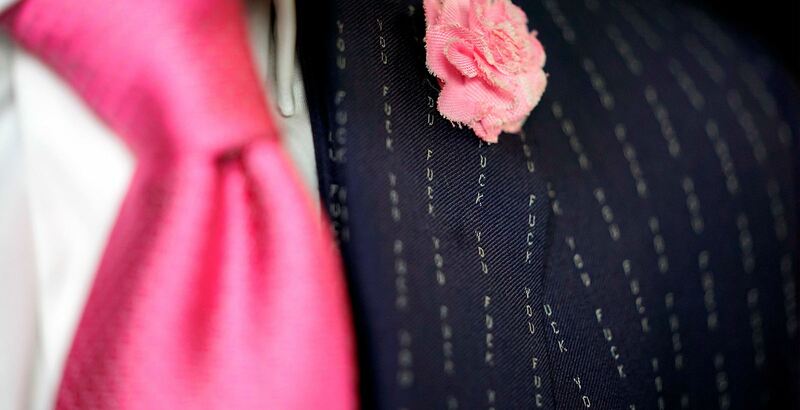 “I wanted to do something irreverent that brought out the ‘notorious’ in Conor,” said David about the infamous FU pinstriped suit. Conor chose to go boldly. We aggressively pushed the news out through all channels and within hours, DA had added over 20,000 new followers on Instagram alone. Within days, there had been billions of impressions worldwide and the announcement of a new clothing line collaboration between DA and Conor: August McGregor. 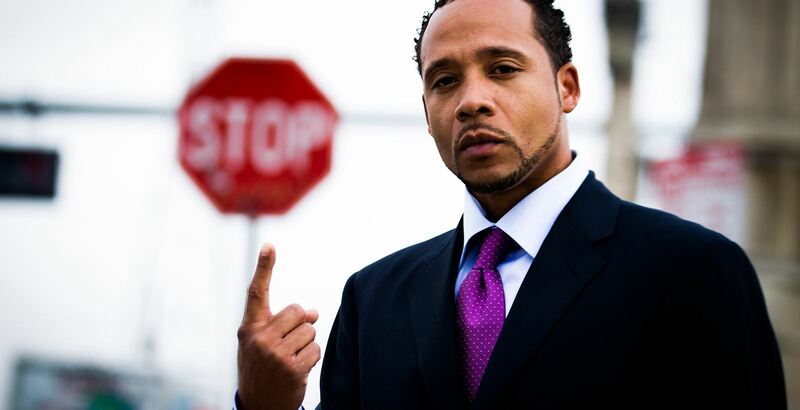 David August has experienced phenomenal business growth and expansion. In terms of marketing measurement, let's look at one metric: Social growth. In just two years, DA has seen amazing increases in followers, impressions and engagement. Within days, there had been billions of impressions worldwide and the announcement of a new clothing line collaboration between DA and Conor: August McGregor. 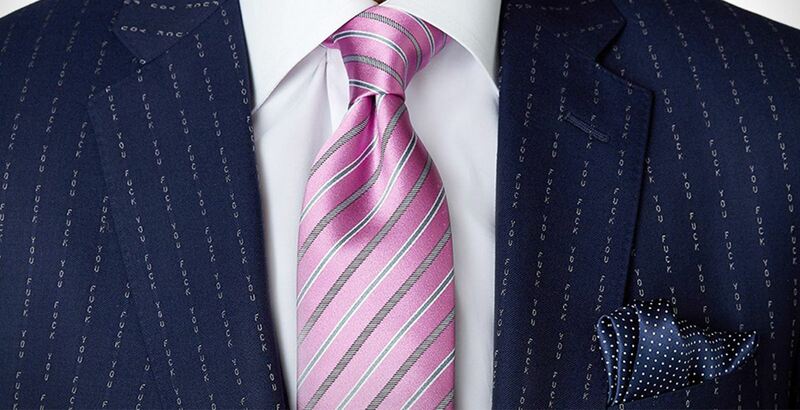 By the way, a number of clients asked for a suit like this of their own. We’re waiting for reports on reactions. 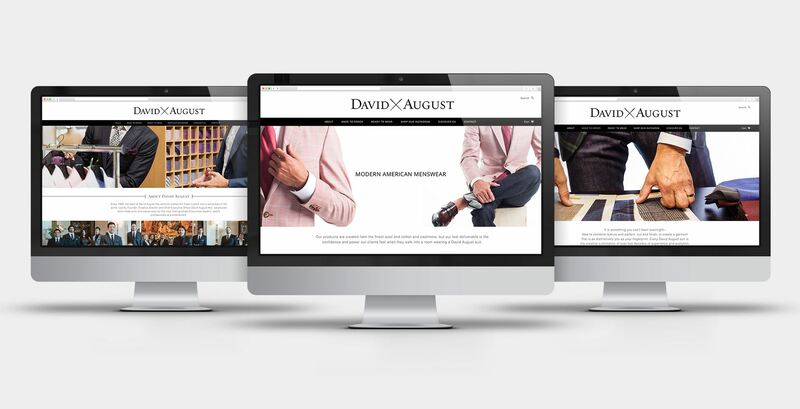 David August has crafted the finest custom men’s wardrobes in the world since 1989. 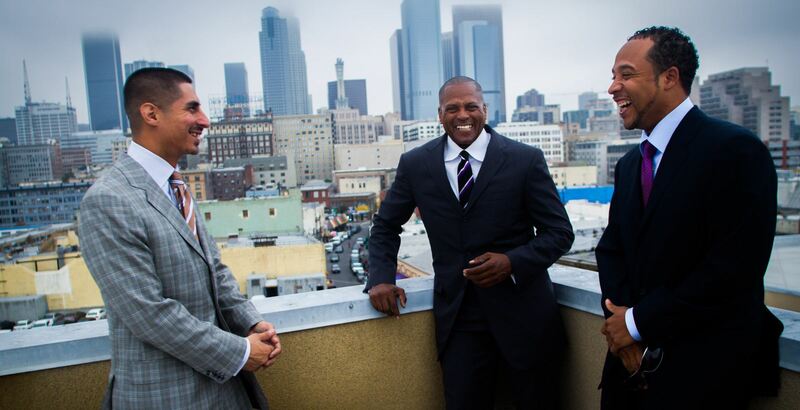 Led by Founder, Creative Director, and CEO David August Heil, the team provides high quality wardrobes for the leaders of business, sports and entertainment. 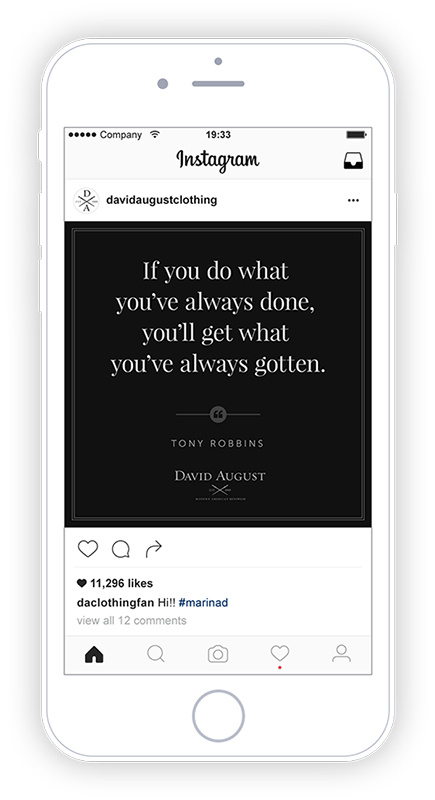 Clients come to David August because they know that David will make them look better than they’ve ever looked in clothes before. They come because David August keeps them on the forward edge of fashion; that clothing from David August will never look dated, out-of-style or behind trend. David August Heil forged the company’s position in the industry from his unparalleled, almost fanatical attention to detail. He is a Southern California native who has grown from a boy who insisted on ironing his t-shirts before school to a man of style regarded for his signature clean, modern, tailored lines and a commitment to unparalleled quality. 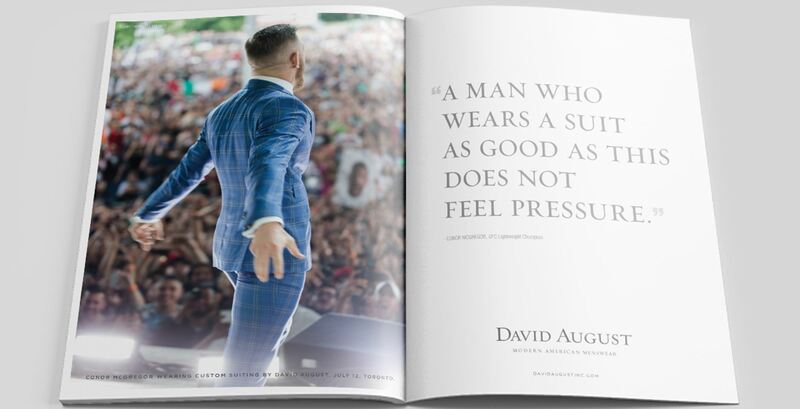 Their product is built of wool, cotton and leather, but their real deliverable is the confidence and power their clients feel when they wear David August. Our work for the brand has included brand definition and style guides, traditional and digital advertising as well as social media management. Absolutely. Just months before these pictures were taken, these three men were living on the Skid Row in Los Angeles. We helped build a program with David August to help rehabilitated men coming out of the L.A. Mission and New York Rescue Mission get a head start on a new life. 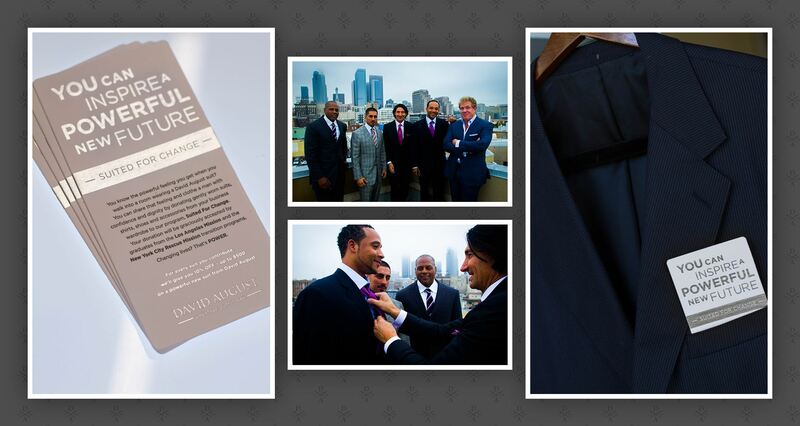 David August clients donate their gently worn business attire to 1700 graduates of the Missions’ rehabilitation program. 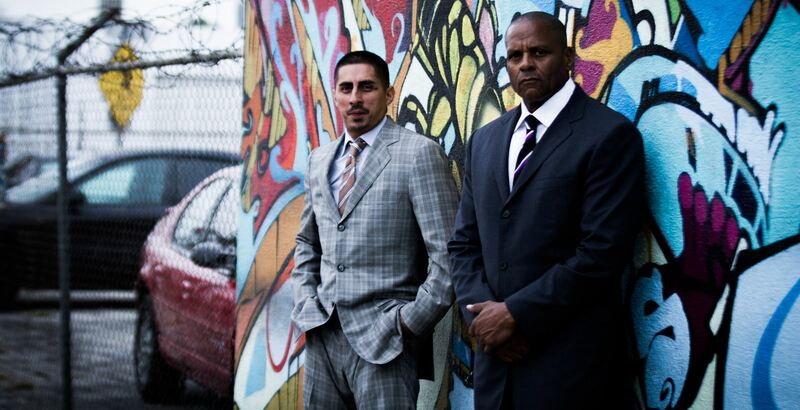 Being able to dress in some of the world’s finest men’s clothing gives them the personal power and confidence they need to go on interviews and rejoin the workforce; allowing many to break a cycle that has kept them on the streets. 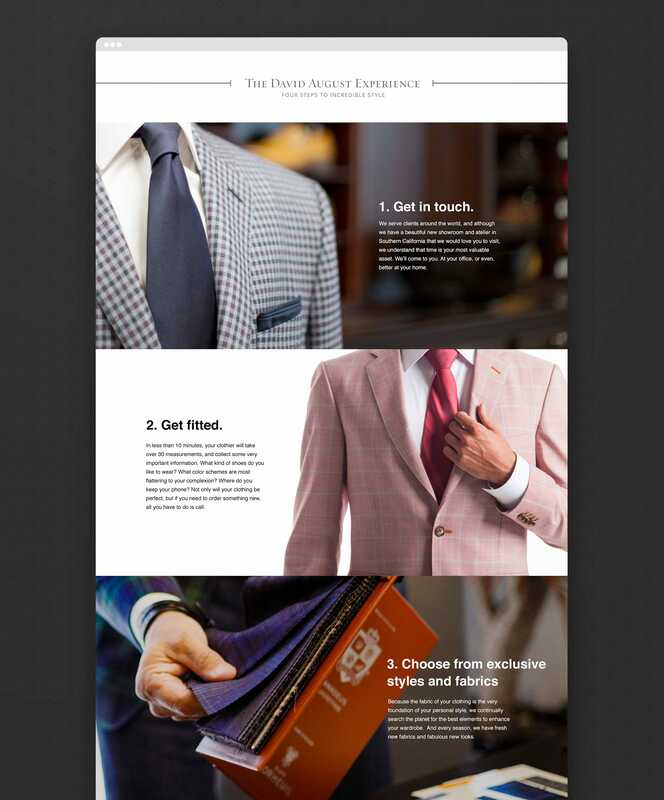 To promote the program and inspire DA clients to participate, we created materials that were included with every new custom garment that was delivered. Clients received a tax deduction for their donations.